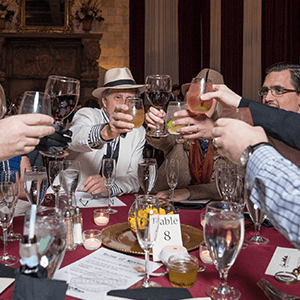 New Orleans Murder Mystery Dinner Parties | The Murder Mystery Co.
For any event, at any venue, and any amount of people, The Murder Mystery Co. provides a killer night of mystery you and your guests will never forget! 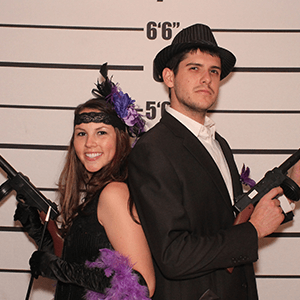 With three courses of crime, cuisine, and cocktails, you're sure to leave fulfilled! 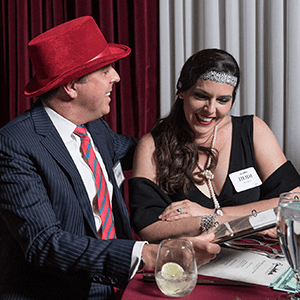 Live-action murder mystery parties are New Orleans's most unique and engaging way to entertain for privately hosted events. 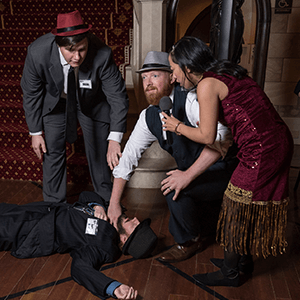 The Murder Mystery Company is New Orleans' Experts in Mystery Entertainment. Planning your next party in the Big Easy has never been easier. 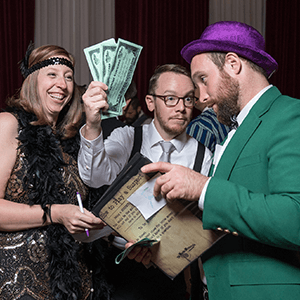 Team up with our murderously fun mystery experts while entertaining a group of friends, coworkers, or family anywhere in the New Orleans area. We also provide hours of entertainment with our engaging interactive dinner theater that you won’t find anywhere else! Life is a party in the Big Easy, and we want to keep your good times rolling at our public shows. 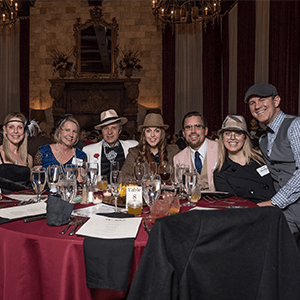 Dress for the night’s theme and make a big impression to be part of the thrilling plot as you and other guests find clues, trade information, and watch events unfold to solve the crime of the night while enjoying a delicious three course dinner. Here is a clue, seats fill up fast with The Murder Mystery Company in New Orleans, so get your tickets today!